Now that the Coaching teams have been settled, the next thing on their agenda is the Players Scouting Combine in Indianapolis Feb. 17-23. They have six draft slots and probably will receive 4 more for a total of 10. Measurables are the focus in Indianapolis, so hopefully they can identify the 10 who can come in make an impact. The first focus will be on the Offensive Right Tackle and another interior player, probably at the Center position. If they can sign free agent Brian Bruganle to step in at the RT, all they need is a starting Center and depth at the other positions. Because we have a healthly Ryan Clady at Left Tackle, Orlando Franklin at Left Guard, Louis Vasquez back at his normal Right Guard and hopefully Bruangle at Right Tackle. And with the zone blocking to be installed,they will love it and stay healthier. Now to our free agents, of course Demaryius Thomas will be in negotiations with the Broncos. If they can’t get him signed to a long-term contract by the start of free agency they will certainly place the Frachise Tag on him. As far as Julius Thomas, they may sign him or let him explore free agency. The knock on him is his poor blocking, but the shift to zone blocking could see him improve his blocking skills. They also have several more free agents and I will inform you as any important negotions go on. After the Scouting Combine is the Cap Space determination on Feb. 24th. Then free Agency runs from March 7-10, when agents of the un-resticted free agent players can negotiate contracts with teams up to 3:59:59 pm (E) on March 10th. That day at 4:00 pm is also the beginning of the League Year and all teams must be under their Salary Cap by that date. And at 4:00 pm that day total free agency starts. And April 30th to May 2nd the 2015 Player Draft will occur in Chicago for the very first time after being held in New York at Madison Square Gardens for decades. Now, Peyton Manning is working out in New Orleans with a top-notch physical trainer who focuses on maintaining the late term players ability to perform at a high level. And he will sit down with Elway, Ellis, and Kubiack to start assimilating how their offensive system can fit with his abilities. He is not afraid of this change and it might take more of the pressure of him and his passing game as the running game should be very productive. It looks certain he will return, so that question mark should be past history in the very near future. And Wade Phillips is very thrilled with the quality of defensive players he will be able to mold in a top-notch Defense! 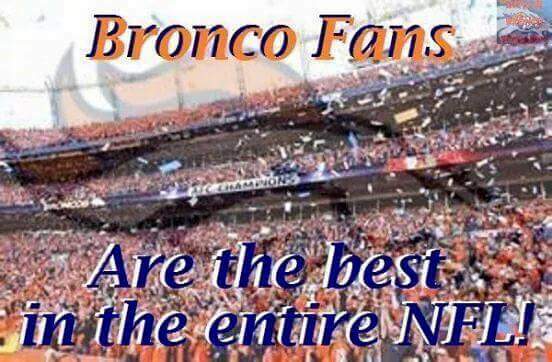 So Go, Go Broncos and start a very great season and go and sieze that Lombardi for all of Broncos Country!!! 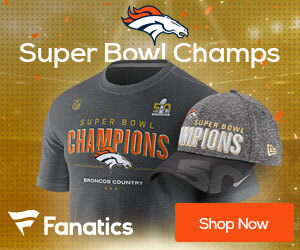 The Broncos need to make significant changes on both sides of the ball just to get back into the playoffs next season.